Price just reduced!! 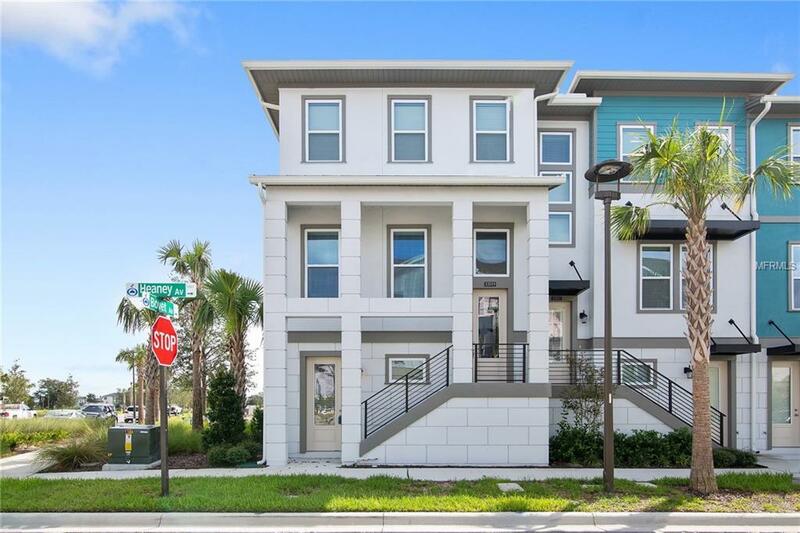 Brand-new, Ashton Woods, low maintenance, 3-story town homes in the heart of Laureate Park in vibrant Lake Nona. The kitchen features beautiful 42" white cabinets, Viatera quartz countertops, a large island, and stainless steel appliances including refrigerator, range, microwave and dishwasher and large single basin stainless steel sink. Upgrades include a rain shower head, enormous master shower and quartz counter tops throughout the 3.5 baths with a beautiful and inviting entrance. The 1st to 2nd and 2nd to 3rd floor staircases have beautiful stain grade oak tread steps with stain grade oak landing and white painted pine risers. Dont forget the picturesque balcony and 2 car garage! Perfectly located close to the resort like community pool, fitness center and Canvas Restaurant. Home features extra closet space that can be converted to an elevator.